Woodworking is among Mankind’s oldest artisan crafts, and one that we have never abandoned. In fact, centuries of artistic sensibilities and awareness—not to mention better tools and technology—continues to make our wood working abilities better and better. Through use of Cancam laser cutting instruments, for example, we can even cut wood with more precision and accuracy than we could ever consistently perform on a human level. And this allows us to widely manufacture and distribute beautiful wooden crafts, even at a massive global textile manufacturing scale. But lasers can cut more than just wood. Indeed, they can be effective across many materials—from wood to metal and even plastic and rubber—in a variety of manufacturing processes. In the manufacturing industry, time is very important. Yes, “time is money,” indeed, so laser cutting helps the manufacturing industry by streamlining the entire process. Advances in technology means faster machine and even more precise cuts that would not otherwise be possible. Furthermore, this also ensures a lower risk for side effects of the cutting process, including things like warping. Speaking of “precise cuts,” laser cutting consistently makes more precise cuts, too. Lasers can pinpoint a specific cut or design with absolutely zero error to make the straightest lines and the smoothest curves. Again, lasers can cut through just about anything. From metal and wood, obviously, to rubber, plastic, and ceramics, laser cutting has made it much easier to form crafts out of just about any textile you could possibly desire. Perhaps the biggest benefit that laser cutting provides is that of autonomy. 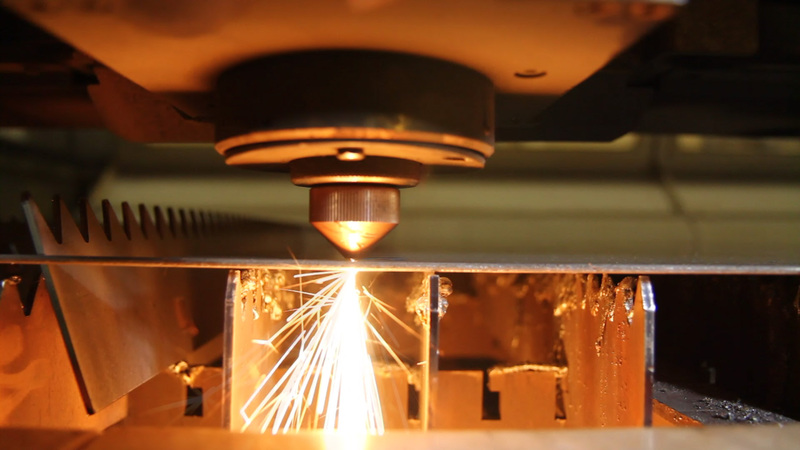 Laser cutting involves programming a machine to follow a pattern or template to command the laser independently of human operation. You can program these machines to cut the material and for what duration or in what combination of materials and movements. Sure, a human will need to turn the machine on—and perhaps monitor it—but, for the most part, this process is completely autonomous. This factor also further supports how efficient, accurate, and versatile laser cutting can be.